The synopsis sold me (before it was released) and it was so worth the wait. As soon as it was live, I got excited and one-click happy, and just had to have it. I am all about an unconventional love story! But after so many years of worry, she had no voice left for grief. And she couldn’t imagine feeling a worse sort of pain. At what moment had everything gone wrong? At what crossroads has she taken the wrong turn? Were there warning signs she had ignored? … and is looking for answers. She thinks she might have found them in her daughter’s boyfriend (a talented street musician that also appears to be living on the street), and she attempts to connect with him over and over again. “Hello there,” Jane said, looking down. “This is bordering on stalking now,” he said, without even bothering to remove the cap from his eyes. Was her voice that identifiable, Jane wondered. And he gives in. As they get to know each other (tentatively) he reveals his future plans, which prompts her to offer him a temporary job. And she “takes in” her daughter’s boyfriend. Oh. Well. *grins* And ummm… being in such close proximity and all. You know. An unconventional love story is what I wanted, and it’s exactly what I got (but so tastefully handled). Yep. 😉 I know… I went into the “what’s it about” part right away didn’t I? I figured I’d get to the good part right away. 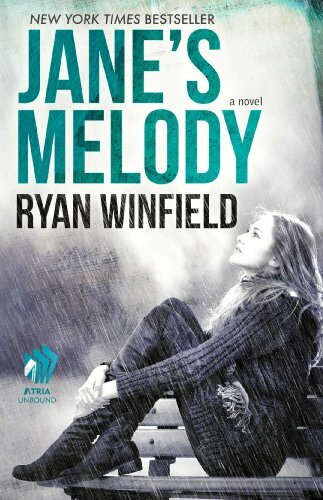 Kandace: I know a lot of people recommended Jane’s Melody months ago. I should have listened sooner. Loved this book! Heart wrenching!! The last part of the book was beautiful. I cried and cried until the end. Maryse’s Book Blog: Me toooooo I cried!!! My review will be tomorrow for this one. 1st half good! Second half GREAT! I was excited (after all, a story like this was destined for angst) and connecting to the author’s eloquent writing style, but I was still on the fence in regards to my romantic connection to the story for a good portion of the first half of the book. I wanted to feel that longing and the heart tugs. It was good, but a little cautious (at least in terms of intensity, for me). Interspersed with very sweet moments (the “coin” reveal had me smiling through tears), they got to know each other, as I got to know them (some great character reveals), but I found myself somewhat distant from their developing connection. I don’t know how to explain it exactly, but it’s as if I wasn’t being teased enough. I wasn’t worried enough. I saw “it” happening, but was anxious to feel completely immersed in it. That all-consuming, burning need for each other? I wanted it. But the second half of the story blew me away. The emotion I wanted to feel in the first half as their attraction developed, I felt it in spades in the second half. I cried. TWICE. Big ‘ol fat tears for two completely different reasons, and both story lines were equally important, to the heroine’s own self-acceptance and her healing. Her choices, and how they would affect her and the characters that surround her. And my eyes welled with bittersweet tears, too. The cast of characters were as wonderfully developed as the two main characters themselves, and brought an incredible depth to the story. From the best friend, the lady down the street, the mother… even the goat. Each one vivid and alive in my mind and in my heart. A beautiful, touching, heartfelt story that I’ll never forget. Surprises that I didn’t see coming, and moments that I DID see coming that were so richly explored, I couldn’t help but be completely taken by them, anyway. The author dug deep and I was right there with them every step of the way. 4 stars for first half and 5 stars for 2nd half, soooo 4.5 stars!! 😀 So good! And look!!! I was standing as tall as I could and he’s kind of slouching. And let’s not forget the 3″ heels I had on. *sigh* LOL! Its like he could pick you up and put you in his pocket! I’m still amazed this story was written by a male author! Holy height difference! How tall is he? Ryan is one of my absolute favs, so glad to see him getting some attention from you Maryse and the huge numbers you reach!! I JUST finished this book last night and LOVED it!! My emotions were put through the ringer… it had me NOT wanting to put it down and I also lived the goat!!! I also got my picture taken with him at BB… Now I have to read this book it’ll probably mean even more to me… Being closer to the mother in the book I’ll relate more to her story 😉 …. Nice pic Sweetpea! Love you xxxxxxx! I already had this on my TBR list, but it just got moved up to the top! Sounds so good based on your review!